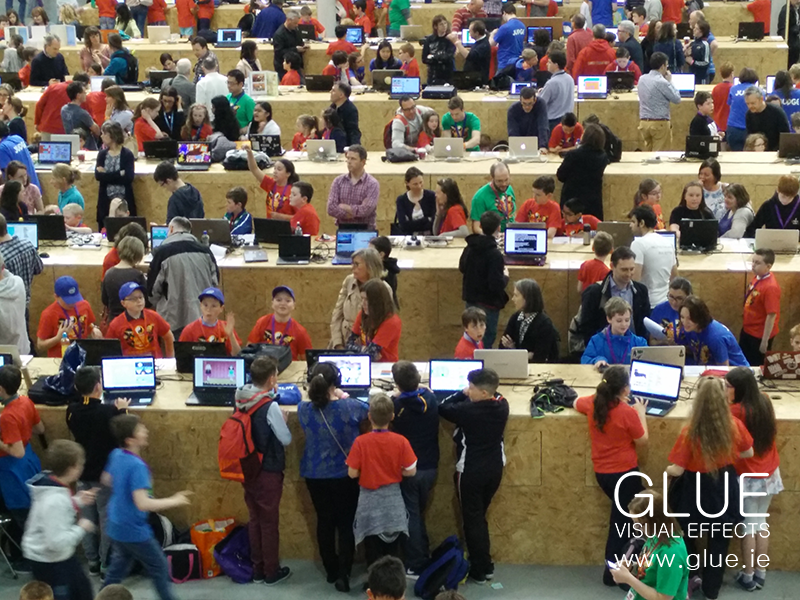 Over the last week, we created a series of animations for the CoderDojo Coolest Projects Awards – which was held in Dublin’s RDS and proved to be a resounding success. Started in 2011 and now in its fourth year, the Coolest Projects Awards are a showcase of the CoderDojo movement which offers community-based, classes aimed at children aged between 7 and 17. In these classes, children can learn how to code, develop websites, apps, programs, games and explore the possibilities of technology in an informal and creative environment. There were 12 winners in 12 categories, ranging from younger students using Scratch coding, to teenagers producing hardware, computer games and web-based projects. Some of the projects on display and their applications really left us in awe at the ingenuity and resourcefulness of the children involved. 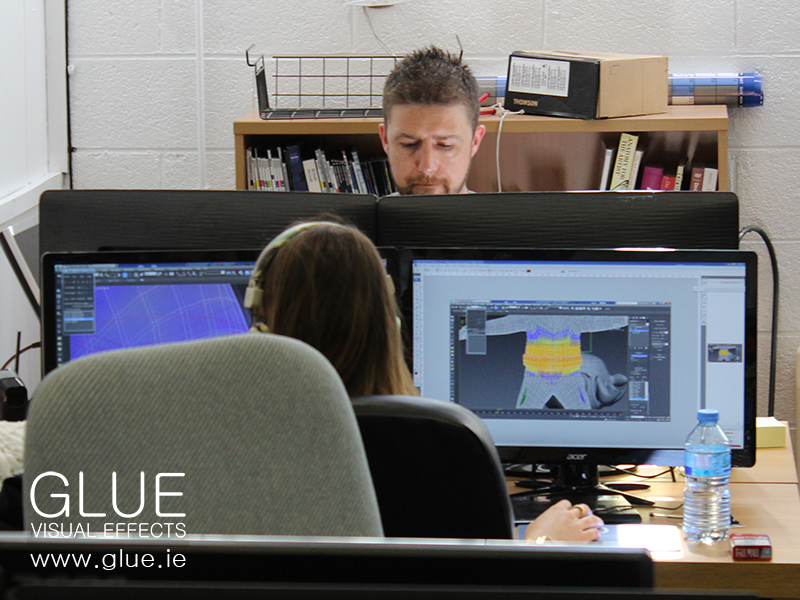 As well as creating animations for the awards, GLUE’s own Ray Mongey was also called on to be a judge at the event. Everyone at GLUE working hard to get ready for the show. We were tasked with creating various animated cutscenes using CoderDojo’s Ninja graphics, these were to be displayed at the event on four 16ft x 9ft screens! This involved modelling the ninjas (and a dojo for them to practice their skills in! ), unwrapping/texturing, rigging, skinning, animating and compositing the boy and girl ninjas, as well as including some nice animated cloth dynamics to the CoderDojo flag. This project had a short turnaround, but it was no problem to our animation team, who helped in streamlining our production pipeline, whilst working tirelessly to achieve the final results! We’re really pleased to see that both CoderDojo and the kids loved our animations. Our team had a brilliant time at the event viewing and discussing the projects with some of the smartest young minds in the country. It truly is amazing to see what they’re creating at such a young age. 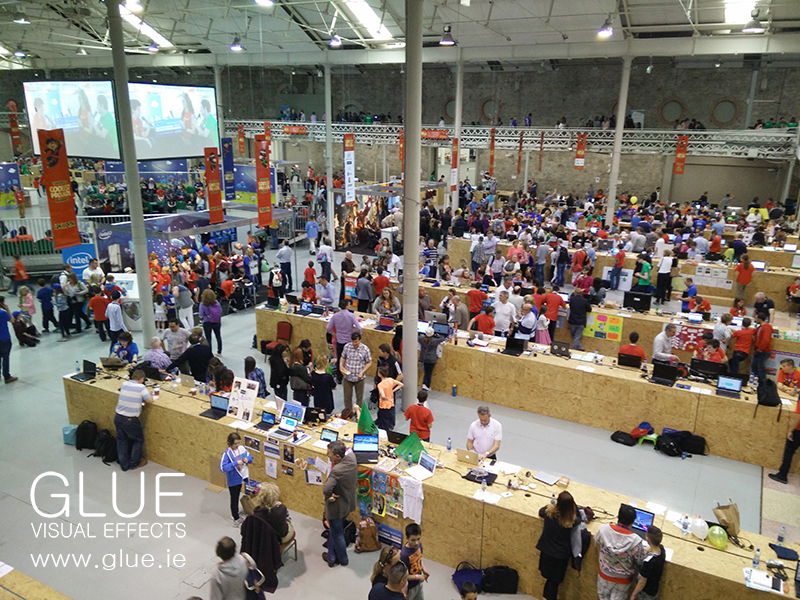 We’d like to congratulate CoderDojo for putting on such a great show. The CoderDojo Ninjas working on their projects.